Page originally received the Telecaster in 1966 from Jeff Beck, who gifted it to Page for recommending him to The Yardbirds. Through the years, the Telecaster took on several looks and personas, as Page customized it aesthetically and sonically. When he first received it, the guitar was undecorated in its factory white blonde finish and remained that way until February 1967, when he added eight circular mirrors to the body. Page played his mirrored Telecaster only briefly in the final years of The Yardbirds, and by mid-1967 he was ready to change the look. He removed the mirrors, completely stripped and repainted the instrument himself, this time hand-painting a mystical dragon on the body. When Led Zeppelin was formed in October 1968, the Dragon Telecaster became Page’s go-to instrument and he played it on stage and in the studio until 1969. It was also the main guitar used on the legendary Led Zeppelin I album. Page went on tour in 1969, and upon his return, he discovered a friend had kindly stripped the body and painted over the dragon paint job. The paint job compromised the sound and wiring, leaving only the neck pickup working. He salvaged the neck and put it on his brown string bender Tele, and has since re-stripped and restored the body in full. Among the four artist signature models will be two highly collectible, limited edition Fender Custom Shop versions masterbuilt by Fender Custom Shop Master Builder Paul Waller – one with mirrors and the other with the painted dragon. For nearly eight months, Page has worked closely with Paul Waller, Master Builder at the Fender Custom Shop, to advise throughout the process, assuring every detail was accurately recreated. Only 50 units of each Fender Custom Shop model will be made available with personal touches from Page himself, including a handwritten signature on the headstock and hand-painted flourishes on the guitar body’s dragon artwork. Known for its world-renowned quality and craftsmanship, the Fender Custom Shop has built instruments for some of the world’s most-esteemed guitar and bass players over the past 31 years. Fender will also build both mirror and painted versions on its production lines, which will be more accessibly priced for a broader base of fans to purchase. While these will not be hand-signed and hand-painted by the artist, Page did consult with Fender throughout the design process to ensure the guitars are true-to-spec of the original Telecaster. 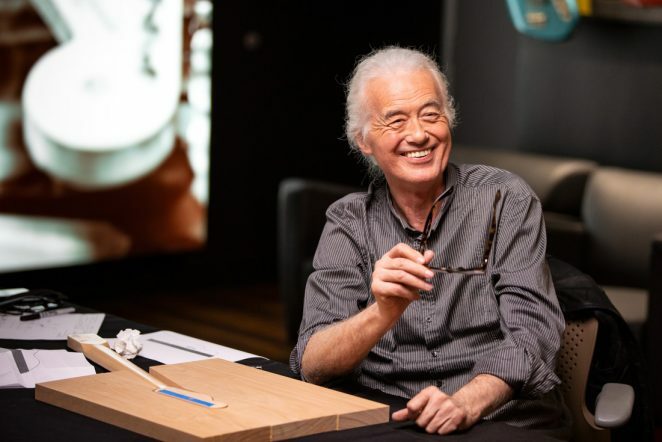 All Jimmy Page models will be released throughout 2019 and will be available at local dealers. Fender will reveal the complete model lineup in January 2019. In true tradition, Fender’s Artist Signature Series models honor popular and iconic musicians through product progression and storytelling, creating instruments inspired by the unique specifications of the world’s greatest guitarists and bassists. 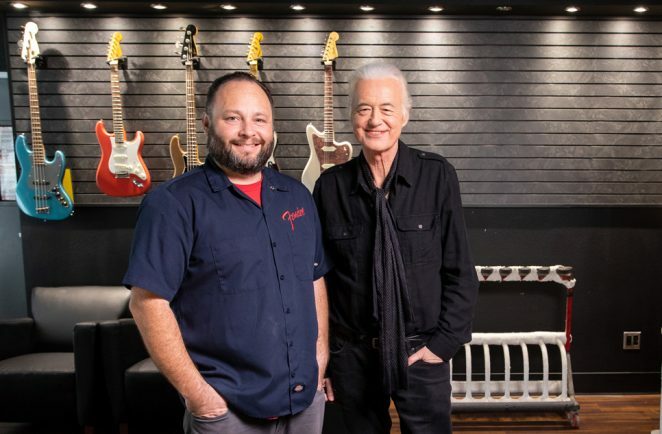 Photos of Jimmy Page and Fender Custom Shop Master Builder can be found here. Access the teaser video for the guitar release here. For additional information on new Fender products and to find a retail partner near you, visit www.fender.com. To learn more about Fender Custom Shop, visit www.fendercustomshop.com. Join the conversation on social media by following @Fender. Follow Jimmy Page on Facebook and Twitter @JimmyPage. RUFUS WAINWRIGHT, one of the great male vocalists and songwriters of his generation, announces his return to Australia in February 2019. With special shows at LA’s Orpheum Theatre and Nashville’s Country Music Hall of Fame later this year, Rufus will begin celebrating the 20th Anniversary of his 1998 self-titled debut album, and the 2001 follow up Poses. Rufus will bring his All These Poses Tour to the Adelaide Festival on Friday 22nd February, Sydney’s stunning Enmore Theatre on Tuesday 26th February, before playing two Melbourne shows at the esteemed Zoo Twilights series and Melbourne Recital Centre on Saturday 23rd and Monday 25th February respectively. The tour will finish at Canberra Theatre on Thursday 28th February. 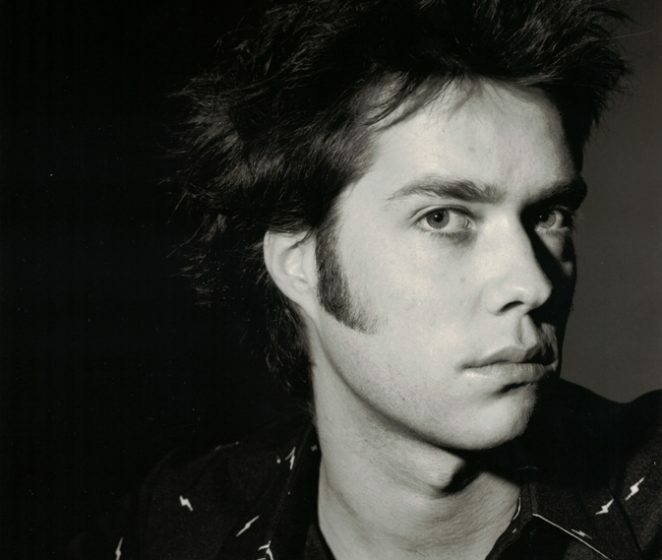 Melding both the beautifully moving with the powerful and bombastic, the broad spectrum of Rufus Wainwright’s talents will be on full display when he returns to Australia in 2019, performing his most beloved songs from his first two albums. In a prolific career, the New York born, Montreal-raised singer songwriter has released nine studio albums of critically acclaimed chamber-pop, and three live albums, including the Grammy-nominated Rufus Does Judy At Carnegie Hall. Renowned for his mesmerising stage presence and scintillating vocals, Rufus has collaborated with many of the world’s greatest artists including; Elton John, Robbie Williams, Pet Shop Boys, Joni Mitchell, Robert Wilson, Lou Reed, Boy George and producer, Mark Ronson. In 2009, the singer-songwriter-composer’s first opera, Prima Donna, premiered at the Manchester International Festival, followed by a run at Sadler’s Wells in 2010 and a 2012 American premiere for New York City Opera at the Brooklyn Academy of Music. Rufus’ second opera, Hadrian, based on the story of the intriguing Roman Emperor, made its debut in Toronto on October 13 by the Canadian Theatre Company. Rachel Eckroth will be supporting on all dates. Performing experimental jazz-pop, the US artist is an enthralling and seasoned live artist, who has played in KT Tunstall’s band, experimental jazz trio Antelog, and will also appear in Rufus Wainwright’s touring band on his upcoming dates. Anyone who has experienced a Zoo Twilights gig at Melbourne Zoo will know what an amazing experience it is, to be among like-minded music fans, the beautiful surrounds of the Zoo parklands and of course the sounds of the animals themselves. Each year the line up of local and international artists that is offered gets better and better and with today’s announcement, that still rings true. Returning to Melbourne Zoo’s lush lawns and running each weekend from 25 January to 9 March, Zoo Twilights unites music lovers with world class musicians in a summer music experience like no other, with all proceeds from ticket sales going back into Zoos Victoria’s efforts to fight wildlife extinction. Joining previously announced acclaimed songwriter and iconic American voice Cat Power are some of the most exciting and seminal artists touring the world right now. Melbourne’s very own cosmopolitan party-starters Client Liaison will ring in the first evening of Zoo Twilights with their multisensory live experience. Prepare to hear hits and modern Australian anthems including ‘World of our Love’ and ‘Off White Limousine’ from their debut album ‘Diplomatic Immunity’. They will be joined by Kira Puru, a dynamic live force who has been busy serving up some of the freshest pop hooks this year. Opening weekend will also feature a rare triple bill of Australian artists spanning genres and generations; Briggs, Archie Roach and Alice Sky. A founding member of ARIA winning hip hop duo A.B Original, and an accomplished writer and actor, Briggs projects a powerful and unique voice within the Australian music landscape. With a career spanning three decades, Archie Roach comes armed with his seminal debut ARIA winning album ‘Charcoal Lane’ and a catalogue of music that speaks the stories of his people and of the land. Joining them is Alice Sky whose stripped back piano melodies and haunting dreamlike sounds will complete an uplifting first weekend. Hear Australian music icon, Sherbet frontman and king of pop Daryl Braithwaite perform ‘The Horses’ and other classics, alongside Ross Wilson’s five decades of hits from Daddy Cool through to Mondo Rock. Dive into the dense poetic mazes and the lush lyrical worlds of both Sampa The Great, and REMI, who will be supported by local R&B powerhouse Thando. Witness Australian indie-pop royalty Vera Blue perform tracks from her latest and beautifully personal record ‘Perennial’, with support from Kesmar’s swirling synths and disco vibes. Say ‘Hello’ to world-renowned party band The Cat Empire, with their high energy, genre-defying dancefloor anthems that have taken them to every corner of the globe. Hear them alongside the hypotonic grooves of Melbourne’s The Meltdown. Since his breakthrough hit “I Need a Dollar”, Grammy nominated Aloe Blacc has been charming audiences worldwide with his feel-good anthems. He takes to the Zoo Twilight’s stage with special guest local R&B legend Kaiit, whose star is quickly soaring after a co-sign from legendary Neo-Soul icon Jill Scott. Watch Rufus Wainwright meld both the beautifully moving with the powerful and bombastic to discover why Elton John once called him “the greatest songwriter on the planet”, with formidable performer Mojo Juju on support. ‘MmmBop’ into the sunset with multi-platinum pop-rock trio Hanson for a show packed with their catchy catalogue of pop tracks. This classic Hanson concert is a must-see for any of the 16 million people who owned a copy of the band’s breakout debut record ‘Middle of Nowhere’ on CD or cassette. Embark on a kaleidoscopic journey into neo-soul with phenomenal collective The Internet. Watch their creative chemistry bubble over as they perform classics like ‘Girl’ alongside their 2018 LP ‘Hive Mind’. Marlon Williams brings his cinematic strings, rollicking guitar, tender piano moments and that acclaimed voice to another must-see Zoo Twilights show, alongside experimental pop Melbournian Laura Jean. 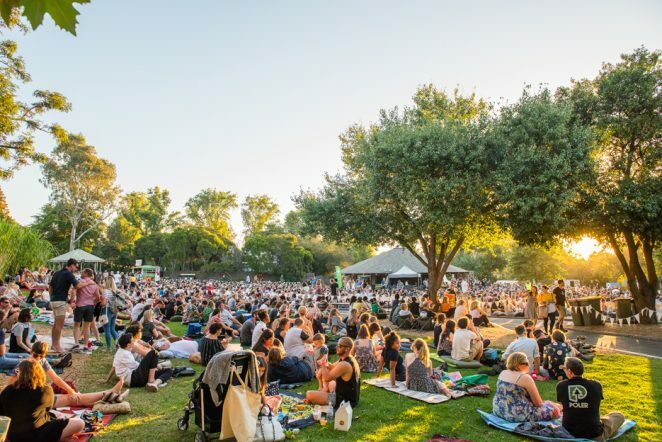 Zoo Twilights invites concert-goers to pick a spot under the stars on Melbourne Zoo’s lawns for an unforgettable night of music. Taste of Twilights, a huddle of some of the city’s best food trucks and pop-up bars, neighbours the stage and serves up brews, snacks and street food. Zoo Twilights is an all-ages event. The most important part of Zoo Twilights at Melbourne Zoo is the cause behind it all. All proceeds from the concert series support the fight to save the Eastern Barred Bandicoot from extinction. Extremely cute and very shy, this species of Bandicoot is listed as extinct in the wild on mainland Australia, but after five years as the flagship species for Zoo Twilights – and over 25 years of recovery efforts – there are now more than 1200 bandicoots in existence. Zoos Victoria is currently planning the release of these animals and training a team of Maremma Sheepdogs to protect them from predators. A ticket to Zoo Twilights can help fulfil the dream of recovering this species. Zoos Victoria is grateful for the support of AGL as Zoos Twilights presenting partner for a third consecutive year. AGL is proud to continue supporting this exciting and unique Melbourne Zoo experience. Zoo Twilights is taking place on land that belongs to the Wurundjeri people of the Kulin Nation. We pay respect to this country’s First Peoples past and present.